Markets plummet in the US, Maldives enters state of emergency, and Falcon Heavy to lift off. An emergency evacuation drill in the National Assembly. 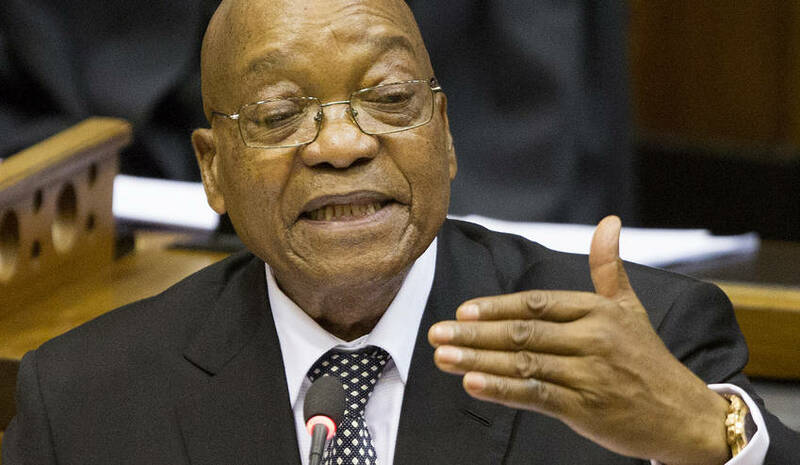 Possible legal action by at least two opposition parties, the EFF and the United Democratic Movement, to push for a postponement of Thursday’s State of the Nation Address – if President Jacob Zuma is at the podium. And as firm a word as any from the EFF on Monday that “there will be no SONA” without its no confidence motion happening first. All this as the ANC is chewing over Zuma’s future as South Africa’s president in what the governing party calls the “transition”, with a special urgent meeting of its highest decision-making body between national conferences, the National Executive Committee (NEC), on Wednesday. Wall Street experienced a brutal Monday’s trading this week. With a 4.6 drop in value among the 30 largest American companies, all eyes have been on President Donald Trump, who naturally rebuffed any claim of responsibility this time. Concern over inflated Treasury bond yields and concern over a potential Fed interest rate hike propelled the Dow into its downward spiral. The president, it seems, is only responsible when the markets are booming. Maldives President Abdulla Yameen has declared a 15-day state of emergency. The declaration came on the back of military intervention against the country’s highest court and a former president. President Yameen’s refusal to release nine political dissidents has squared him off against the Supreme Court. The presidential logic, then, is to declare an emergency and send in the soldiers. It’s a good thing the country is not particularly reliant on a tourism industry. If all things are clear and green-lit, SpaceX will be launching its Falcon Heavy today. If successful, the rocket will become the world’s most powerful in operation. Scheduled for this evening, South African time, the rocket is not carrying anything valuable. Just a mannequin in a snazzy space suit strapped into one of Elon Musk’s Teslas. John Mahoney, the Jack Russell owning ex-cop who was Frasier’s father in the hit sitcom has died. Mahoney was propelled to fame playing Martin Crane for 11 years. Mahoney began his acting career at the age of 40 at the urging of John Malkovich and Gary Sinise, and has been nominated for multiple Emmys and Golden Globes. The number of times John Williams has been nominated for an Oscar. Today in 2017 Springbok legend Joost van der Westhuizen passed away. Compared to gold ore, there is more gold on a per weight basis in your smartphone. Op-ed: ‘Two centres of power’ within the ANC? How does #Ramaphosa resolve this?